Ndara in the Central African Republic; a story of skills, determination and perseverance. If you were to research the Central African Republic you would find miles and miles of reports, articles and studies on the ongoing war in the country. If you were to go back in history to look for information, you would mostly find the same narrative – war, strife, suffering. Or, you would find little to no narrative at all. While the atrocities of war and the horrific human suffering are true, there is more to the Central African Republic and its people than that. Ndara will tell the world another story about Central Africans. We will tell you the stories of the men and women who are skilled in survival against all odds, who are resilient. People who, in the face of violence and poverty and with great pride and joy, create communities, families and beautiful handmade products. Ndara is a company that will strive to make these products and stories available to you wherever you are, so that you too can begin to tell a story of hope and perseverance in CAR. Through trade, Ndara creates social and economic empowerment. We build relationships, train entrepreneurs, expand markets and promote craft traditions. We believe that the power to change one's circumstances starts with independence and self-reliance. 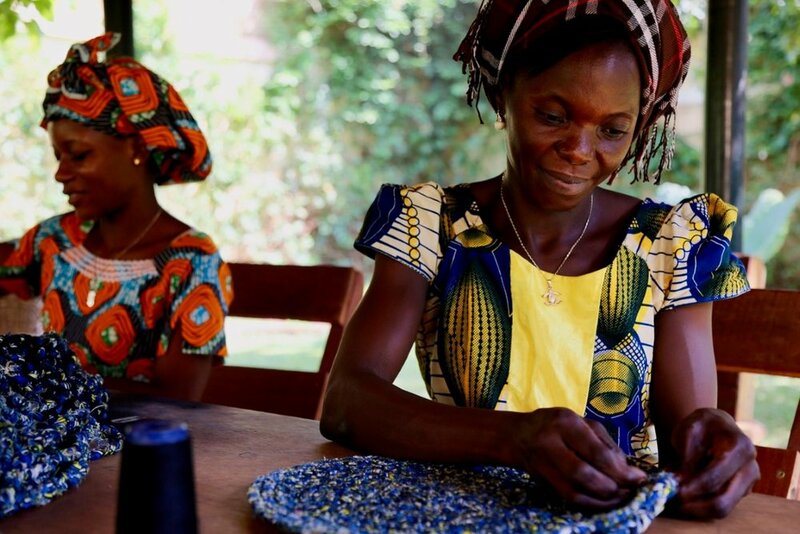 All Ndara products are hand made in Bangui, the capital of CAR, and are one of a kind. Primary materials used to make the products are limited edition, often recycled and as eco-friendly as locally possible. You as a Ndara customer buy a unique piece of craft with history. Buying a Ndara product you support the women and men of CAR to help themselves and therefore you are also a part of changing the story of CAR. As a customer of Ndara you do not only buy a beautiful product, but you buy a story of strong women and men who never give up, who fight for their families and who see joy in the middle of darkness. You help them tell their story. Another story. Stay connected to what’s happening at Ndara! We’ll let you know where to buy, new products, new CAR stories, but only a few times a year. You’re not going to get a lot of emails from us - we’re too busy! All Ndara products are hand made in Bangui, the capital of CAR, and are one of a kind. Primary materials used to make the products are limited edition, often recycled and as eco-friendly as locally possible. Click here to learn more about shipping. If you want to order something specific for a special occasion, a product to use in your business, or if you want to discuss a collaboration between your company/organization and Ndara, please contact us by email. Click here to view inspiring sold products!